Prime Minister Hun Sen, center, stands on stage at a meeting in Phnom Penh’s Koh Pich on Thursday, in a photo posted to his Facebook page. 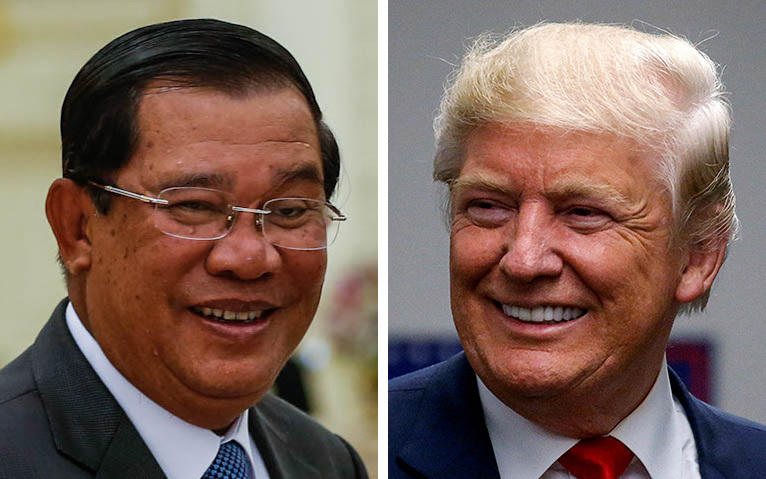 In a mammoth three-hour rant in front of more than 4,000 of Cambodia’s Christian community on Phnom Penh’s Koh Pich, Mr. Hun Sen continuously reverted to his well-trodden rhetorical path of the dangers of regime change. “To ensure peace and to continue development, the only option is that the CPP must win elections at all stages,” he told the audience. “Do not blame Tea Banh and Pol Saroeun for making statements against color revolution,” he said. “Any act that leads to overthrow must be absolutely cracked down on and there will be no pardon,” he said, before delivering a chilling warning to those who would attempt a peaceful revolution. “To ensure the lives of millions of people, we are willing to eliminate 100 or 200 people because we have seen bitter past experiences,” he said. Echoing the statements of the two ruling party stalwarts, the premier warned that he had “already commanded forces to take action” against anyone who disputed the commune election outcome, reminding the crowd that it took just a “few breaths” to neutralize Funcinpec forces in the 1997 factional fighting between the CPP and the royalists. 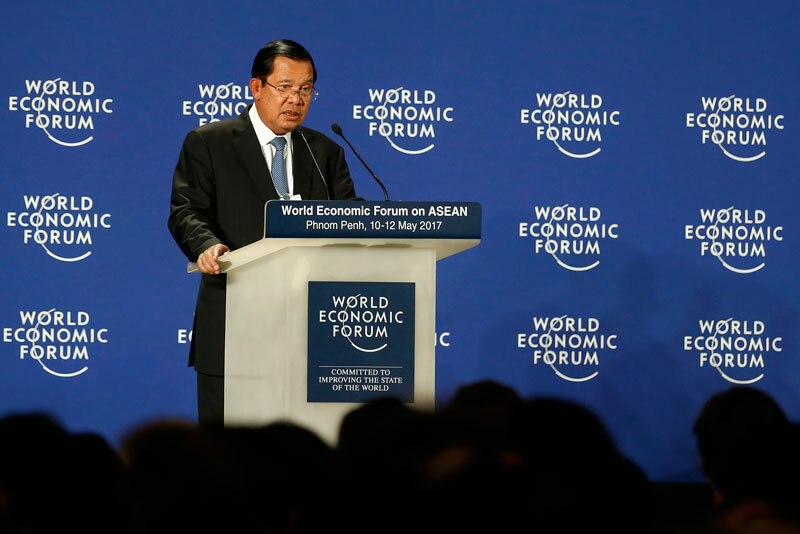 Mr. Hun Sen then took direct aim at the opposition CNRP, accusing the party of encouraging war through its rhetoric. Prime Minister Hun Sen speaks at a meeting in Phnom Penh’s Koh Pich on Thursday, in a still image taken from video posted to his Facebook page. “There is no need to have guns. Your remarks are the reason for creating war,” the premier said, before citing insults made against his family that he appeared to attribute to CNRP supporters. “Look at Facebook. The first phrase says ‘destroy Hun family first.’ By ‘destroy Hun family first,’ it means [they] also destroy Hun Sen so Hun Sen’s supporters will not remain silent and Hun Sen himself will not remain silent too,” he told the crowd. CNRP Vice President Eng Chhay Eang said he was bemused by Mr. Hun Sen’s accusations against the opposition that it was fostering war. “We don’t know who we would have war with,” he said. Claims that inflammatory online rhetoric was the responsibility of the CNRP were baseless, he added. “They cannot take those who make comments on social media as fundamental grounds to claim it belongs to this political party,” Mr. Chhay Eang said. “I am really sorry that the government leader has sent such a negative and intimidating message to threaten his own people,” he said. Despite Mr. Hun Sen’s tirade, Mr. Chhay Eang said, the CNRP would not be filing a complaint with the National Election Committee (NEC). “As we know, in our country, some words they can freely speak, but the opposition cannot, and some paths they can walk, we cannot,” he said. 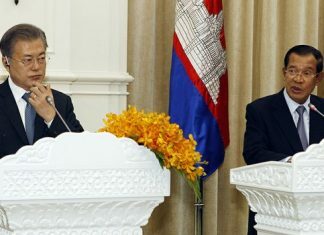 Sam Kuntheamy, executive director of the Neutral and Impartial Committee for Free and Fair Elections in Cambodia, said the prime minister had clearly violated the election law. “The law states very clearly that it does not allow the sending of threatening and frightening messages during an election campaign,” he said. Mr. Kuntheamy said complaints have been made previously to the NEC regarding Mr. Hun Sen’s war rhetoric, but they had been rejected because they were made outside of the campaign period. “Now he made this threat again, so it’s the NEC’s jurisdiction,” he said. NEC spokesman Hang Puthea said the remarks had been made during a religious meeting, not as part of the campaign, but said the NEC would nevertheless “consider” the case. 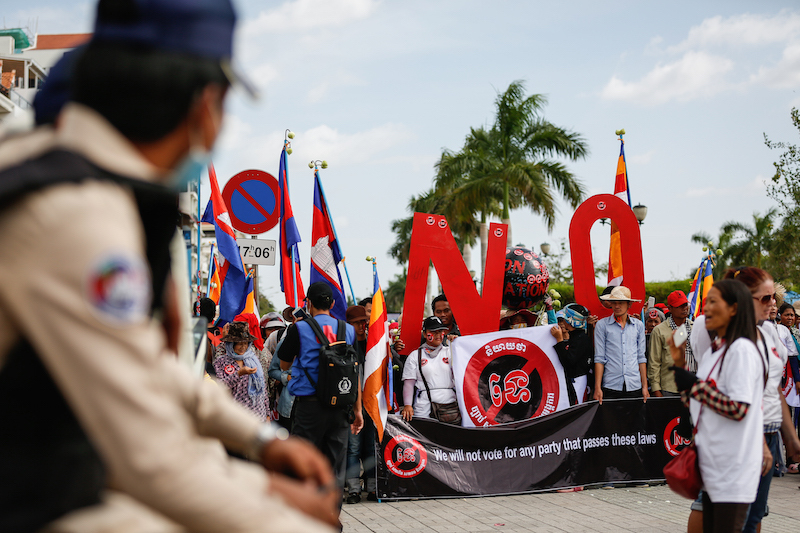 Political analyst Meas Nee said Mr. Hun Sen’s incessant warnings that life after him would result in a return to civil war were an example of the ruling party’s anxieties about losing its grip on power. “Now they have learned that more people than expected have joined the CNRP and I think this has created a lot of anxiety for the ruling party. I think their fear is leading to these threats,” he said. Fears of diminishing popularity with the public could also be compounded by deeper fears of losing its stronghold over the military, he added. “If you look at the psychology, when you talk about war, you can define war when warring armed factions have conflict with one another,” Mr. Nee said. 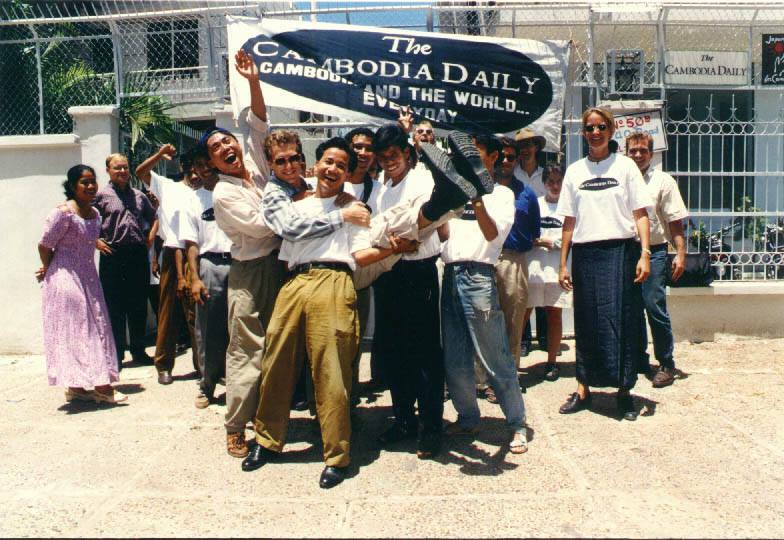 “My question is, why does Hun Sen raise the war so often? Maybe he learned that not the whole army are loyal to him,” he said.